Granite City Gearheads » Blog Archive » We have BIG news! Posted by Lori Dale On March 23, 2018 Comments Off on We have BIG news! 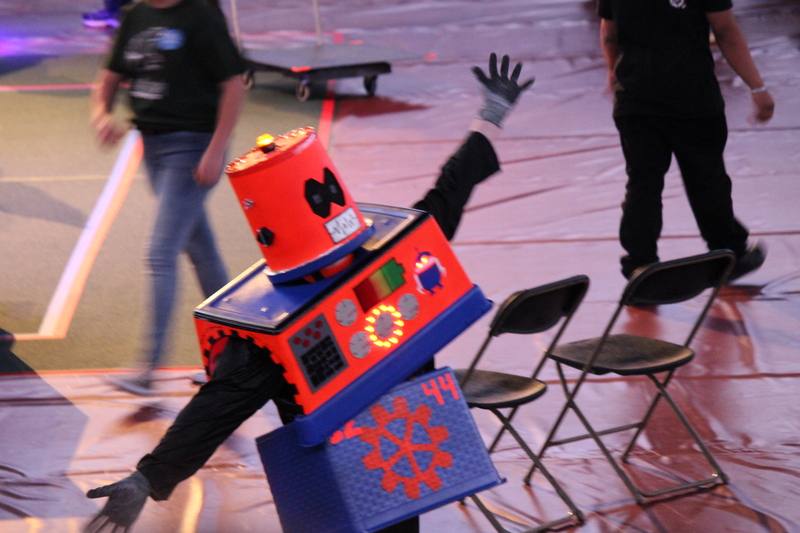 Yesterday, one of our FIRST team contacts received an email offering us a spot at the Detroit Championships! We won a wait list lottery spot. We were surprised, but pleased, since we have not had our Regional Competition yet (which is next week). Of course we confirmed, and started the ball rolling! We are now registered for the event, and waiting for further information on lodging in the Detroit area. We are also working on arranging bussing, with the help of Dave Langerud, the Activities Director at Apollo High School. While we are totally thrilled with this news, it means that we will have to raise somewhere between $20,000-30,000, in a month. If you are a local business owner, or know of any others who might consider sponsoring us for our trip, please contact us! We would be grateful for anything that you could donate toward the teams expenses. We will provide more information, as it becomes available. There will definitely be a live feed, and we will post a link to that prior to the event.